Are you in search for a quality motel in Fort Garland, CO? 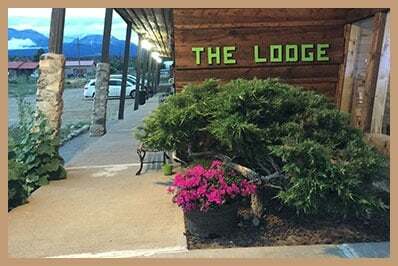 Head over to The Lodge Motel at once, and take advantage of the first-rate lodging options we offer. Our establishment boasts cozy and clean motel rooms that will surely meet your needs, preferences, and budget. Whether you are planning on staying for a day, a week, or even longer, we have the perfect motel rooms for you. Lobby open from 9:00am until 9:00pm Mountain Standard Time. The Lodge Motel was built in 1962 and is a cornerstone of the community of Fort Garland, CO. In the early years, Fort Garland was commanded by Kit Carson. During the War Between the States, the legendary Buffalo Soldiers were stationed there. The fort has been preserved and is now a museum. Our motel is located 9 miles from the turn from US 160, going up to The Great Sand Dunes National Monument, the largest sand dunes in North America, just west of the Sangre de Cristo Mountains. We are east of the San Juan Mountains and are 18 miles from San Luis, the oldest town in Colorado. This town attracts visitors from around the world who come to view the Stations of The Cross Shrine. The Lodge Motel sits at the base of Blanca Peak which is considered as a sacred mountain by the Navajo Nation. The next time you find yourself in Fort Garland, CO and need a place to stay, you know where to go. Our Lobby is open from 9:00AM until 9:00pm Mountain Standard time for your convenience. We also offer discounts upon request to veterans, law enforcement officers, senior citizens, AAA members, and active military individuals. For more information about our motel and the lodging options we offer, do not hesitate to contact us.